Another one of my stories has found a home, this time in the dark and wonderful world of the Noir Carnival anthology. Published by the good folks over at Fox Spirit Books, the collection is launching at Edge-Lit in Derby this Saturday. I won’t be able to attend the book launch, since I live across an ocean and all, but I’m still pretty psyched about it. I’ve always been intrigued by the concept of the dark carnival. Singapore is a young city state; clean and whitewashed, a place with no place for the glitter and decay of a ragtag bunch of carnies. We are a nation known for our (sometimes cold) efficiency, and also for the speed where the old and crumbling are replaced. Perhaps that explains my fascination with the carnival, a place where differences are the norm, a venue where strangeness is boldly displayed in a subversive celebration of the weird and wonderful. I developed a personal connection to the Carnival when I discovered that my entrepreneurial grandfather (who is now 106 years old) had once dabbled in the business of traveling performers. He and his band of chinese acrobats made a decent profit touring the region until the Sino-Japanese War put an end to the venture. My grandfather still has some photos of his traveling troupe, and seeing the faded black and white prints always sends a tingle of nostalgia down my spine. Of course, the reason behind my interest in all things Carnivalesque might also be due its sheer inaccessibility. 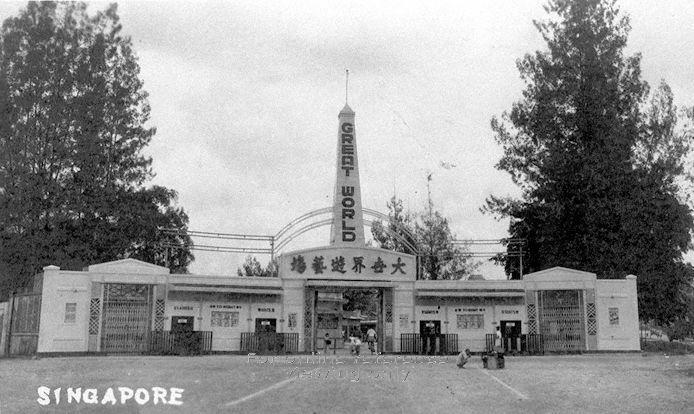 The closest appropriation of carnival culture in Singapore – amusement parks like Beauty World and Great World were a thing of my parent’s youth. In my time, television sets were already a fixture in every home. This would soon be followed by the invasion of the personal computer, game consoles, video arcades. People no longer needed to depend on the carnival for entertainment. My first impressions of the carnival came from pop culture- books, movies, TV. It was kitschy and nostalgic and a little romantic, a place where time stood still. 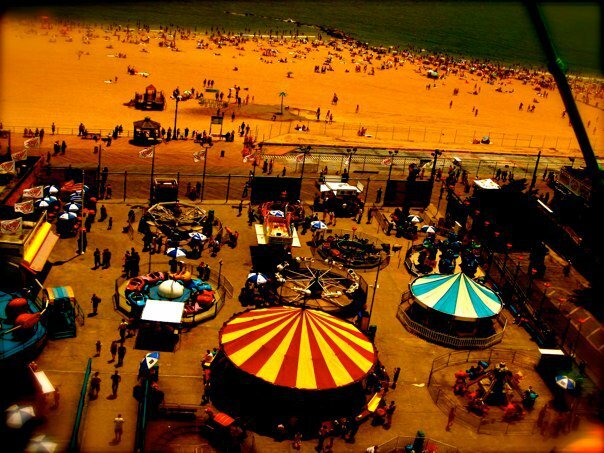 When I got old enough to fund my own travels, I visited Coney Island and Luna Park, wondering if my romanticised ideal of the carnival would stick. It did, despite the hordes of tourists thronging each venue. Beneath the fresh paint and carefully conserved kitsch, i felt the dark heart of the carnival’s glamorous, lurid past. There were stories to be mined here, tales of displaced folks and abandoned lives. This was the inspiration I drew upon when writing ‘In the Mouth of the Beast‘ my tale for the Noir Carnival anthology. If you’ve already read this far and want to continue your foray into dark carnival territory, get a copy of the anthology and let me know what you think!